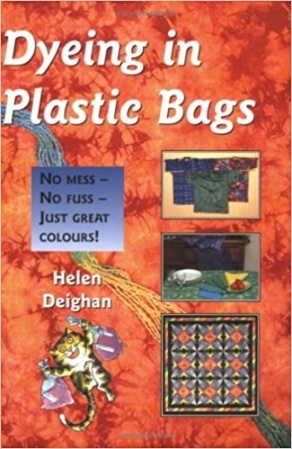 Helen Deighan started dyeing in plastic bags in the late 80's after being continually disappointed with her results using other methods. Her aim was clear, strong, dark colours. This necessitated individual dye baths for each small piece of fabric. But, the thought of hundreds of bowls and buckets filled her with horror. The solution was 'dyeing in plastic bags' and she has been at it ever since! Helen's easy-to-follow instructions and straightforward approach will put even the most inexperienced dyer at their ease. You can use everyday utensils - no need for special equipment. It helps you learn: to create a range of colour-coordinated or graduated fabrics suitable for patchwork; to make stunning tablecloth and napkin sets; and, simple techniques for dyeing threads in glorious colours. It offers sound advice for dyeing with children. It includes handy tips on record keeping and storage.